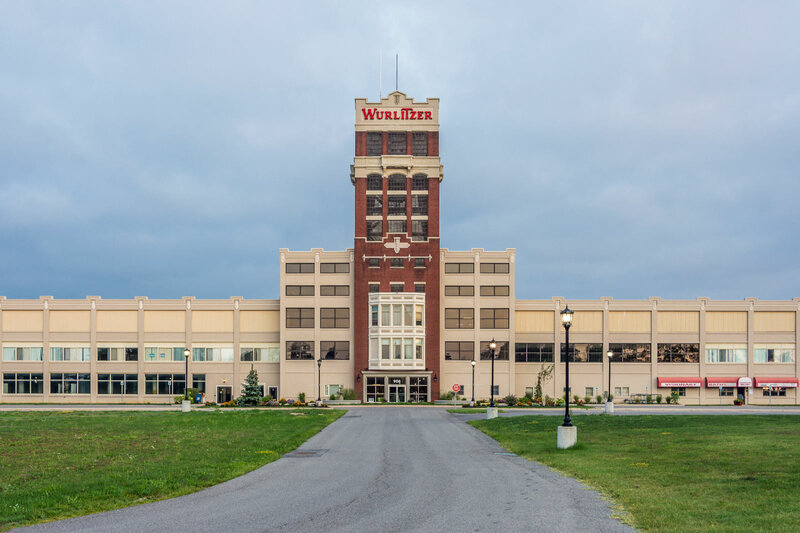 The Wurlitzer Building serves as the gateway to Niagara County. Approximately 34,000 vehicles travel past it on Niagara Falls Boulevard daily. The building’s grand tower is a beacon of the past, present, and future, and it marks the building as a familiar and beloved landmark. The sprawling complex began as the North Tonawanda Barrel Organ Factory. The Wurlitzer Company purchased it in 1908 and put it on the map as a producer of world-class theater organs. Today, with this rich historical background, The Wurlitzer Building is home to retail and office spaces, as well as Platters Chocolates. Click on the “Space Available” tab for more information. Contact us today; we would love to work with you to create a unique space to meet your needs. The Wurlitzer Renaissance is here, and we invite you to be part of it!